Get your kilts out of the closet and get ready for some noise. 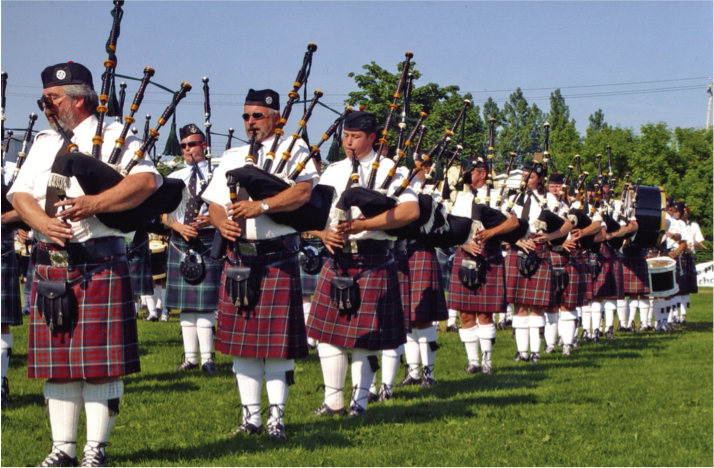 We are headed to the Loon Mountain Resort in Lincoln, NH for some bag piping, sword dancing and strong man competitions! 2 nights lodging at The Lodge at Lincoln Station. The accommodations are condos very close to the Scottish Games, which are at the Loon Mountain Ski Area. They have a heated indoor pool and outdoor pool, sauna and hot tub, Riverview sun deck . Most rooms have balconies. All have kitchens. (All beds are NOT equal; some are king with privacy and doors to the room, some are king in an open loft area, some are bunk beds, some are pull out living room couches but all are the same price; early sign ups and/or couples “may get the preferred beds”! Entry to the Games – 3 days of continuous music and entertainment. Both nights happy hour whiskey tasting in the condos single malts only. We will help arrange car pooling although there is plenty of parking at The Lodge at Lincoln Station. This is a rain or shine weekend. Scots never let drizzle or torrents stop the festivities! Children’s rates available, just ask.